We are experts in creating customized travel incentive programs tailored to your company culture. We recognize how important culture is to a growing company so we spend time each quarter in house getting to know your employees and the company atmosphere. With prior global experience as a destination management company and travel agency we are able to provide tailored itineraries, negotiation management, and on site expertise. Unlike a large agency, with Executive Group Travel you will work closely with the owner and are guaranteed quick responses and personal relationships. Executive Group Travel specializes in working with growing technology companies and consulting firms in creating their first incentive program. Optimizing ROI is important so our goal is to increase your team's productivity, motivate your employees, provide an increase in recruitment, incentivize an end of the year push, and help build lasting relationships within your sales team. 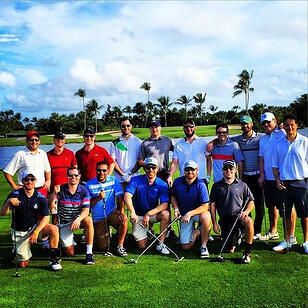 Check out our Testimonials page for more information on a recent incentive trip!